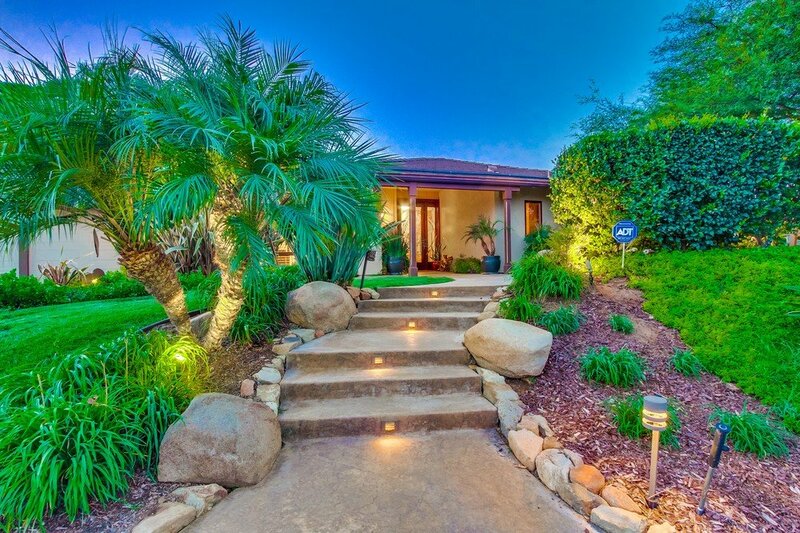 Extraordinary single level home with magnificent panoramic mountain views. The finest of upgrades & finishes throughout. A striking gourmet KIT features a custom built-in Kitchen Aid refrig, Jenn-Air wall ovens, built-in custom panel dishwasher, wine refrigerator, granite counters, custom cabinetry, lg island with Viking 5 burner gas cook top & stainless steel & glass overhead vent hood. Sophisticated MBR w/incredible ensuite BA. Salt water pool & spa, BBQ entertainment area, beautiful mature landscape.